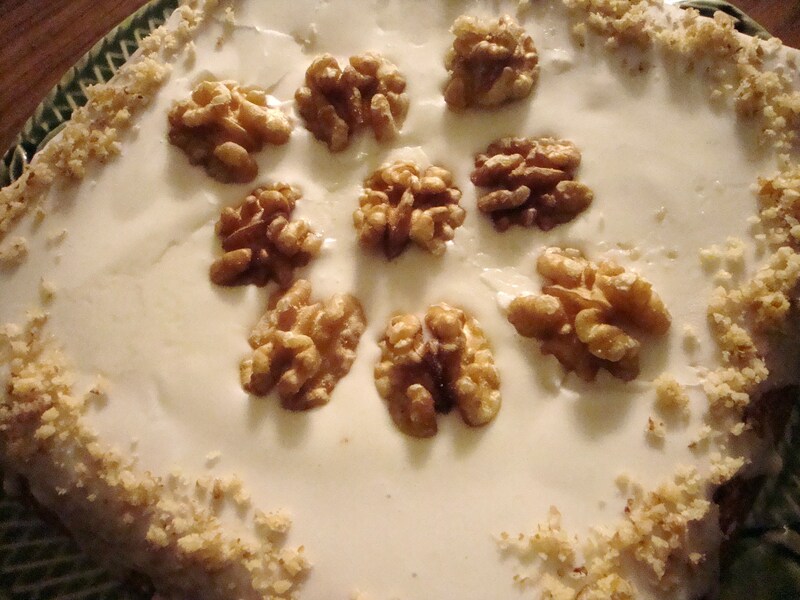 This simple cake made with ground walnuts is distinctive for its crunchy white glaze. A great tea cake, similar to a cherished British favorite, the Fuller’s Walnut Cake. Cream the butter and sugar until fluffy. Add the eggs one at a time and beat well. Sift the flour and baking powder and mix them and the ground walnuts into the mixture. After removing the cake from the oven, allow it to rest for 5 minutes before turning it onto a rack. Let it cool fully before icing it with Glazed White Icing. Decorate the top with the walnut halves. Beat the egg white until stiff. Sift the sugar and add it and the salt to the egg white. Continue to beat until the icing is soft and thick and stands up in small peaks. Add the cream and beat a little more. Spread the icing over the cake and allow it to set for at least three hours.